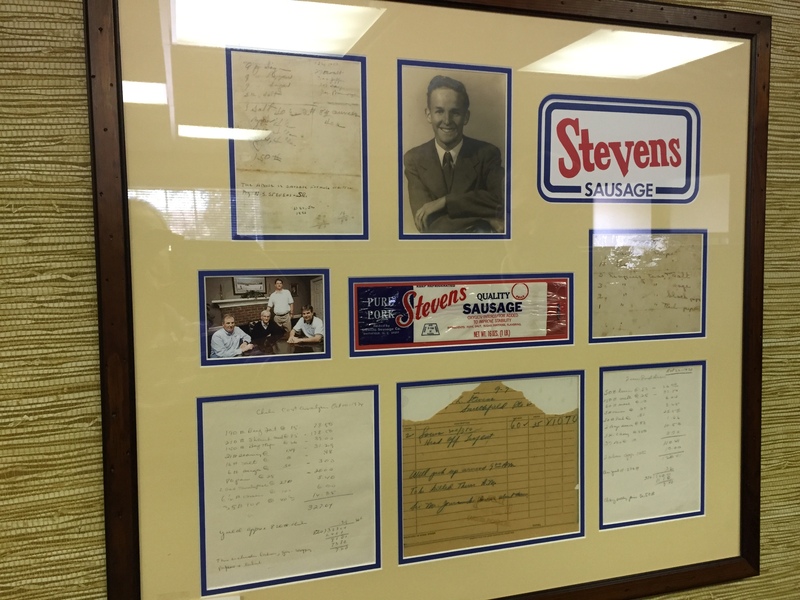 History of Stevens Sausage Co.
For over 250 years Stevens families have plowed the earth of Johnston County as they raised and harvested crops for sustenance and for sale. Living off the land was a way of life for many southern folk during these early years that brought both good and bad times. They learned that spring and summer were times of plowing, tilling and tending crops and fall was harvest time. Winters were a time for inside chores and outside butchering of livestock to replenish the “smokehouse” inventory of meats. For some, new businesses were spawned as an out growth of food preparation skills developed of necessity but honed with pride as they formulated tasteful recipes. The Stevens’ tradition is as rich and historic as the land they originally farmed. Since 1742, the Stevens Family has lived and worked in Central and Eastern Johnston County. It was from this farm that Needham S. Stevens first perfected his seasoning formula that has made Stevens Sausage the best around. As the leaves began to turn gold and the nights grew colder and longer, farmers and townsfolk alike knew the arrival of winter was not too far away. And the arrival of temperatures in the 40’s meant the beginning of hog killings and the manufacture of fresh sausage. At this time modern refrigeration methods had not yet been perfected so butchering meat had to be done during the coldest part of the year. But while winter meant cold and gray weather, it also meant that Needham Stevens would be making sausage for his friends and to sell. 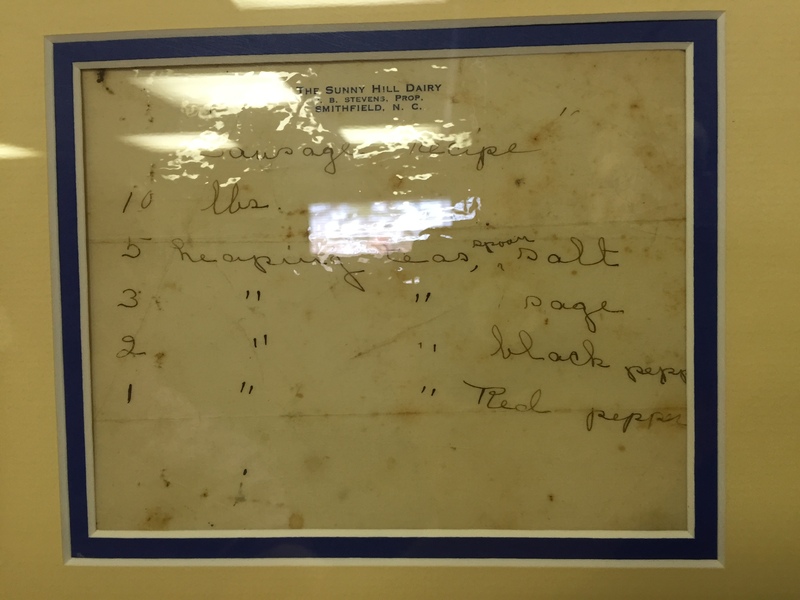 A generation later this tradition continues at Stevens Sausage Company; although we feed a few more people. 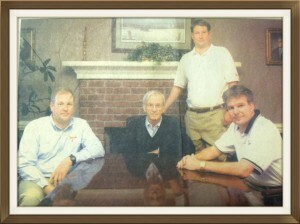 A family operation since its beginning, two generations of Stevens currently operate the plant. Although technology allows us to make sausage year-round, the same care and quality that Needham started 60 years ago is still visible. Today, Stevens produces thousands of pounds of pork sausage, souse, chitterlings, smoked sausage, hot dogs, hot-dog chili, and their famous country hams each week. We hope you will enjoy the whole family of Stevens Sausage Company products, as rich in heritage as good taste. Opt-in to receive emails from Stevens including promos, discounts, and company news. Copyright 2016 Stevens Sausage Co. Web Design by Wat Webs Inc.